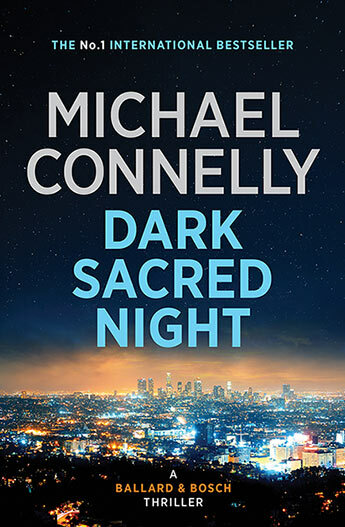 This year Michael Connelly was recognised with the CWA Diamond Dagger, awarded for a significant contribution to the crime writing genre with his 31 books, and here he discusses how he approached writing his 32nd book – Dark Sacred Night and bringing together Harry Bosch and Renée Ballard. When I wrote The Late Show last year my thinking was that it might be a one shot deal. It was a new character and those are always fun, but I didn’t think as I started out that Renée Ballard could ever muscle into the universe that was already occupied by Harry Bosch and Mickey Haller, two characters I had been repeatedly going back to over the course of decades. But the unexpected happened. Renée ended up being too fierce, too interesting and too undeniable. I instinctively knew when I finished writing that book that I would need to get back to her very soon. She has her hooks in me as a character. I should also say she was inspired by a real life detective I know and the inspiration was ongoing. When you have a real life person sharing the details of her life as a detective, as a writer you don’t say thanks very much but that’s all I needed. If it worked the first time, and I think it did with Renée and The Late Show, then you go back to the well. Once I decided that Renée was going to be a regular, so to speak, I next had to decide how do I make room for her. And that is kind of a no brainer. It has been my pattern over many, many novels to bring characters together, have them cross paths. 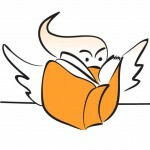 To me, all of my books are related. They are one big mosaic and while it is true that the centerpiece of that mosaic is Harry Bosch, the canvas is wide and there is plenty of room for other characters. And so this is how I approached Dark Sacred Night. I wanted it to be a Renée Ballard driven story but I wanted to bring Harry Bosch into it. I really felt that if Renée could meet Harry she would like him – maybe not at first – and they could work well together. The one-word description I have always carried in my head for Harry was relentless. The one-word for Renée was fierce. These are very close characteristics and that is why I thought maybe these two could complement each other and work well together. The next question was about the framework of a story with two lead characters. I decided I would have them cross paths in many chapters but each would also have their time alone. I decided to alternate sections. This allowed the writer and reader to see the world through each character’s point of view at various times in the story. It also allowed each character their own take on the other. This is what I love doing – showing Harry through the eyes of another character and then Harry’s view of Renée. In a word, that made the project fun and that is what every writer is looking for. Writing a book is a lengthy project. It can be daunting. If you can make it fun and something you can’t wait to get to every morning, then you have won the battle. To me, it’s a simple equation; if the work is fun, then the work will be good. Now it is up to you to decide if I got that right. Meantime, I’ll be thinking about how I can introduce Renée to Mickey Haller. Learn more about the book, listen to Michael’s jazz inspired Dark Sacred Night soundtrack, and read the opening chapters here. 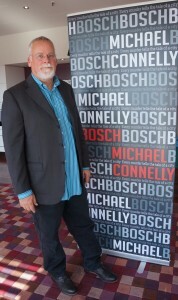 A former police reporter for the Los Angeles Times, Michael Connelly is the international bestselling author of the Harry Bosch thriller series and the highly acclaimed legal thriller series featuring Mickey Haller, as well as several stand-alone bestsellers. His most recent #1 bestsellers were The Late Show, introducing the new series protagonist, Detective Renee Ballard, and the twentieth in his Harry Bosch series, Two Kinds of Truth, before Bosch and Ballard came together in Dark Sacred Night.